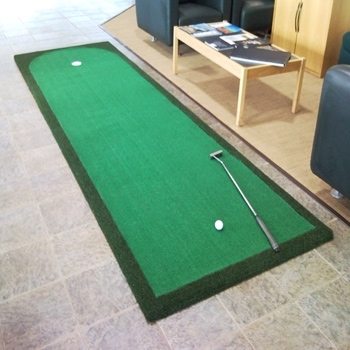 Merit Golf launches a new Portable Indoor / Outdoor Practice Putting Green. 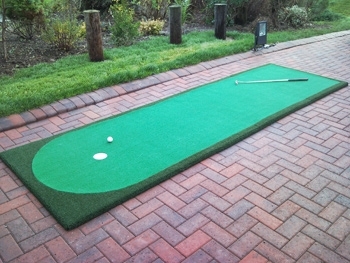 Merit Golf has developed a new Portable Putting Green. The product can be used both indoors or outside to practise your putting stroke at all times of the year. The overall length of the Putting Green is 3.96 metres and is 0.9 metres wide enabling the player to stand on the surface when putting. The lightweight base is in 4 sections that join together in a 'jig-saw' manner without the need for any tools. The surface of the Green runs at 10 on the stimp meter providing a realistic roll of the ball. The price is £275.00 (incl. UK Mainland delivery and vat). Can the portable green be left permanently outside?